Bollo Bridge Road, London W3. With Acton Community Forum. Snipe are disappearing in lowland Britain as the water meadows and boggy fields they need are drained to make way for ever-intensifying agriculture and urbanisation. 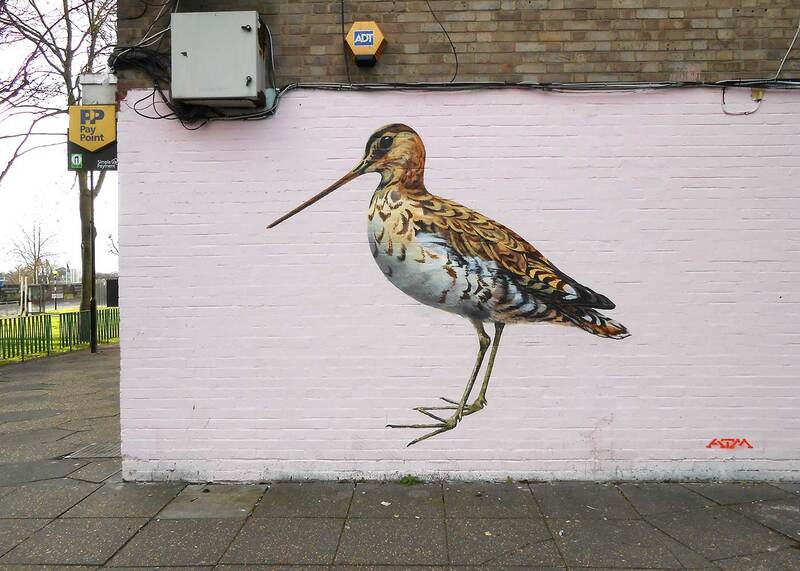 I painted this snipe on Bollo Bridge road in Acton, West London, where the river Bollo once flowed, but is now underground, concealed by concrete and tarmac. This is symbolic of what we are doing.